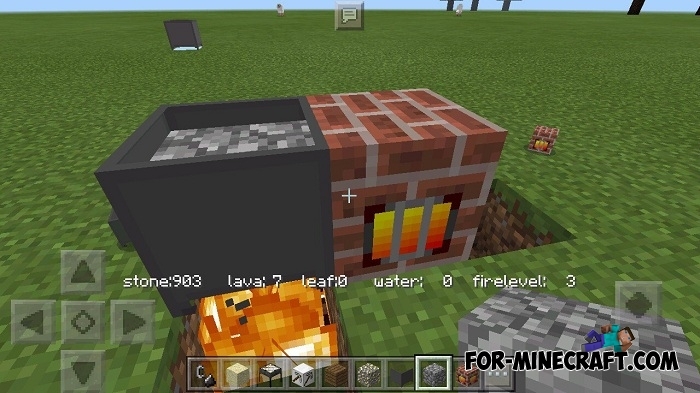 This is Industrial Craft PE addon, which is a port of Ex Nihilo and adds the basic elements in Minecraft PE. It was created by a group of Chinese developers. 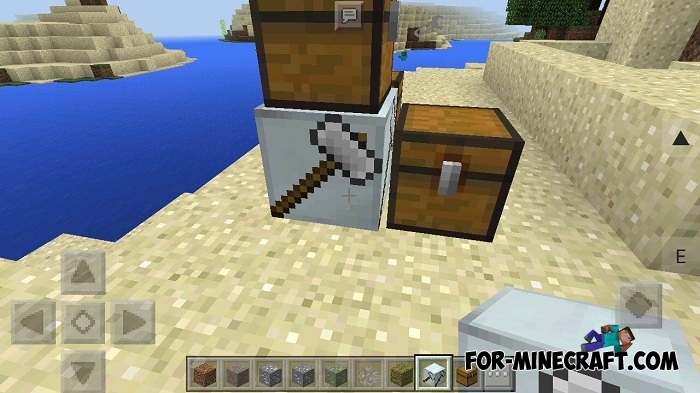 You will get a sieve, barrels, hammers, crook, and other things from the original mod. 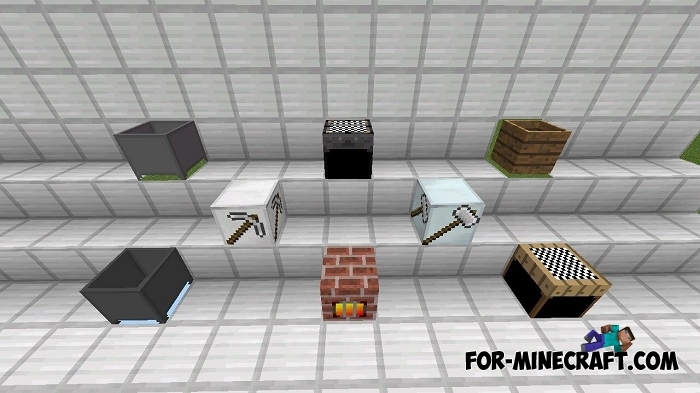 This mod is perfect for SkyBlock maps where the player needs resources. 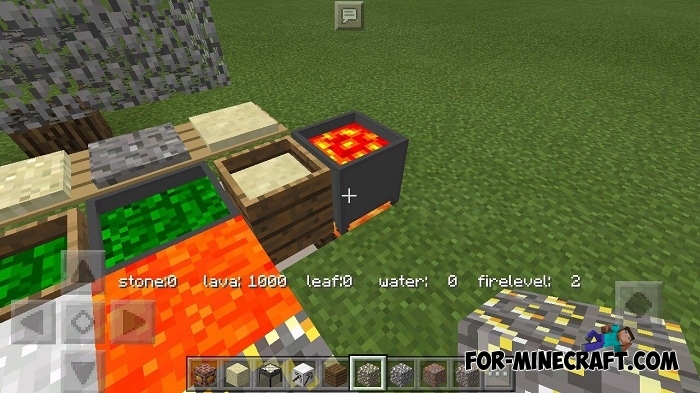 By using barrels you can generate ground and clay, to collect rainwater, etc. Hammers is a unique tool that can transform some blocks in completely different. 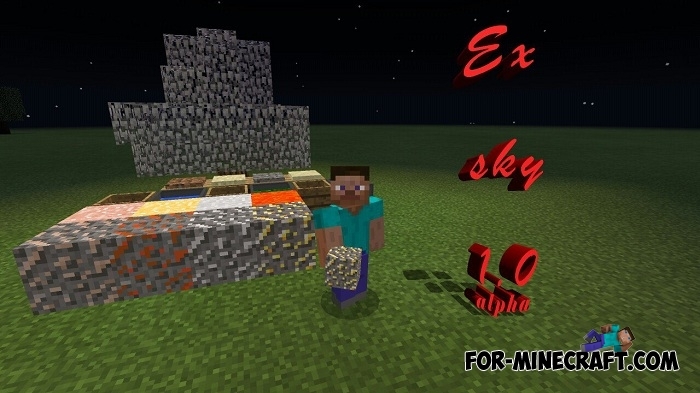 The Ex Nihilo mod also contains a lot of new ores and other minerals (it will be added in future releases). 1. Be sure to install Industrial Craft PE for MCPE 1.0.0, 1.0.2 or 1.0.3. 2. Move the "ExSky 1.0 alphafix.zip" folder from the archive here: games / com.mojang / mods. 3. You can also install the map from the archive, which was created for the best game with this mod, but of course you can play any other maps. 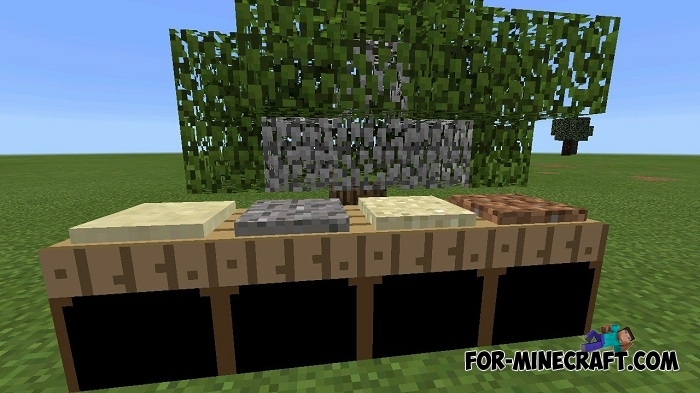 UMT 3.1.3 - Ex nihilo PE 1.1 mod for Minecraft PEThis mod is designed specifically for SkyBlock and Factorization!